The cave opened three different ways, each entrance a twisted mouth of light that swallowed me whole. Waves echoed off the walls, churning the water in every direction at once. The air popped and hissed. Sitting inside, I felt the weight of rock above me, an entire mountain of stone. My eyes adjusted and I stared up at the jagged rock along the ceiling, all rough edges and broken corners. It looked like waves had washed it away with the artistry of a jack hammer. Hunks of rock waited in the water underneath my hull. The waves would come for them, bit by bit, dragging them away to crush and polish them into those tiny round stones kids skip across the water on summer days. They’ll come for the rest of the mountain too. Long after I’m dead, long after we’re all dead, the waves will come, taking a piece at a time until its gone. I smiled up at the mountain above me, the crumbling castle of rock and stone. You can almost see it disappearing from inside that cave, sitting in the churning water underneath it all. “Did you think it would last forever?” I asked, my voice small against the sound of water and rocks. “Don’t we all?” the mountain answered. 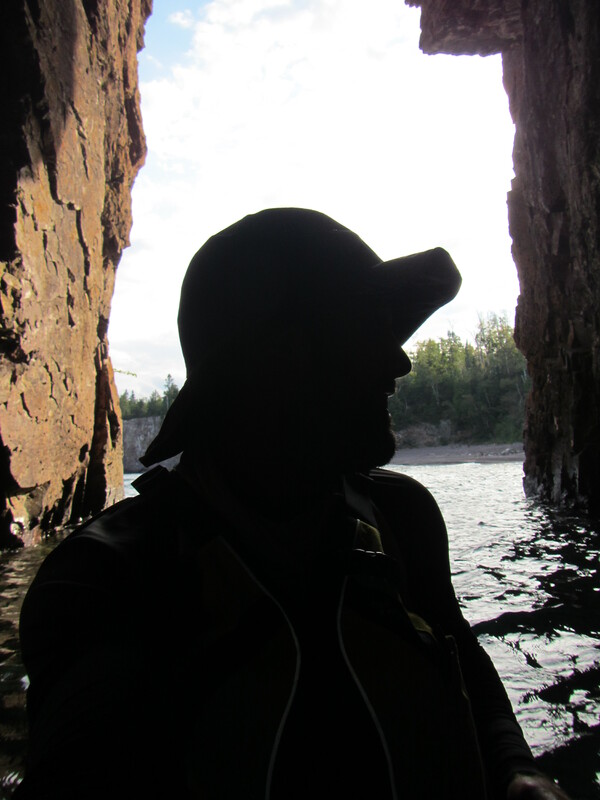 Posted in Angle to Key WestTagged AKW September, Angle to Key West, lake superior, life, sea caves, talking to inanimate objects, temporary thingsBookmark the permalink.